How does a plant get a taste for meat? 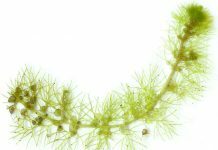 One of the reasons carnivorous plants are so popular has to be their weirdness. They turn a lot of assumptions about plants upside down. 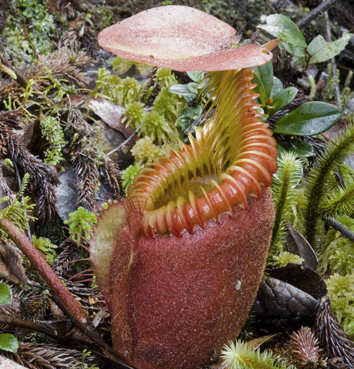 But how does a plant become carnivorous? I can see how an animal might stumble on a new snack, but a cabbage isn’t going to feel pecking one morning and decide it might nibble on a butterfly. A paper by Nishi et al, in this month’s Annals of Botany has an answer. In the case of Paepalanthus bromelioides it’s protocarnivorous thanks to some help from its friends. 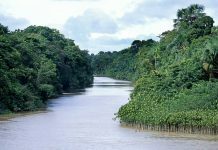 Paepalanthus bromelioides is a bromeliad that lives in south-east Brazil. It looks like it could be carnivorous. Its leaves reflect UV light. Its central tank is acidic. The leaves have a slippery wax that causes insects to lose their footing. There’d be good reason for it to be carnivorous too. 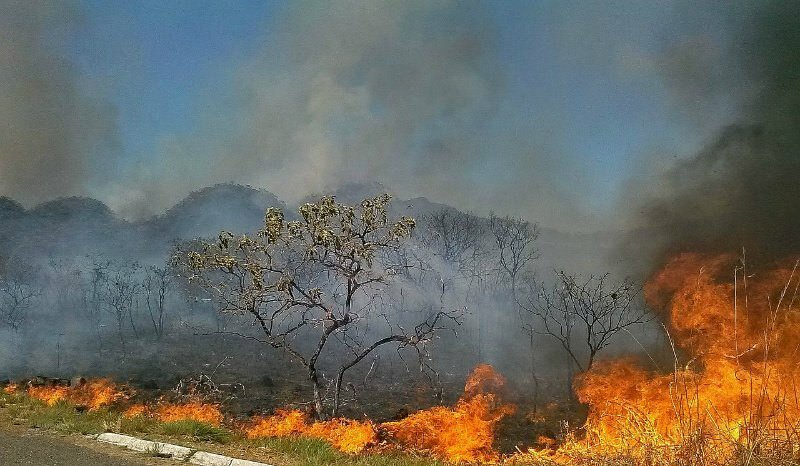 Its habitat is well-lit but nutrient poor. 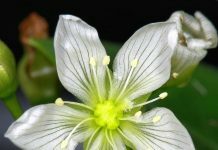 It’s thought that carnivorous plants are looking for snacks to supplement their diet, and if there are few nutrients then the benefits of trapping insects outweigh the costs. But Paepalanthus bromelioides doesn’t trap insects. 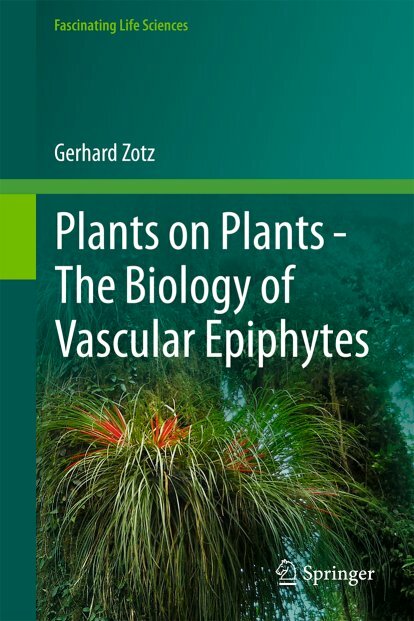 Also the plant doesn’t make any proteolytic enzymes. These are the enzymes that break down proteins for digestion. Anything that breaks down is due to activity by bacteria living in the rosette of the plant. Paepalanthus bromelioides. Photo by Nishi et al. Nishi et al. looked closer at the plant. It is surrounded by predators. Spiders patrol the leaves looking for insects sheltering among them. The plant itself tends to sit on termite mounds were there is an insect factory converting detritus into nutrients. Instead of being a failed carnivore, is the plant working cultivating these creatures to aid its digestion? 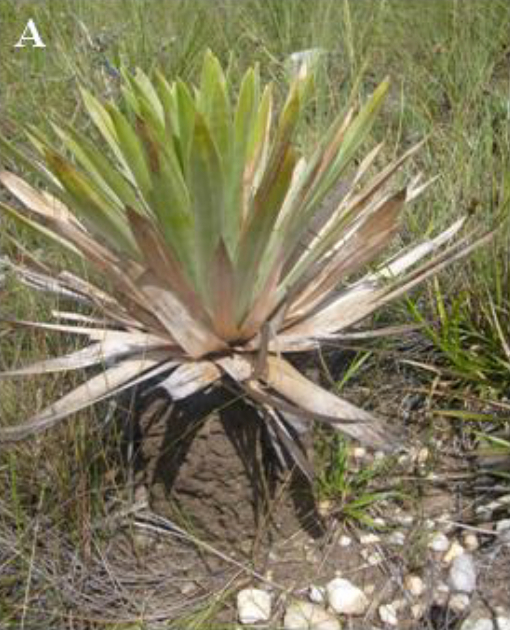 Nishi’s team used levels of Nitrogen-15, a slightly heavier than usual isotope of nitrogen, to track where Paepalanthus bromelioides was getting its nitrogen from. They also examined the bacteria in the rosette to see if they were helping break down material into nutrients. For the termites it was relatively easy to set up a test. Termites were given various samples of cardboard and some had been dosed with more 15N than usual. The idea was that the termites would break down the cardboard, leave the nitrogen in the soil and the plant would take it up. The results were odd. The plants on termite mound did have more nitrogen, but there was no detected increase in 15N, so it’s not certain that the nitrogen is from the mound. Nishi et all note that there wasn’t a lot of rain and this could have scuppered the test. For nitrogen coming in from the top, there was a clear signal. Spider faeces is a big contributor to the plant’s nitrogen. There were also contributions from carcasses and larvae. Surprisingly the bacteria made no difference. What seems to be happening is that the plants are using the spiders as part of their digestive system. Digesting an insect is hard work. Instead the spiders are pre-digesting the insects for the plants. The plants then find what the spiders excrete easier to digest. The rosette is handy for channeling everything that falling toward the centre for collection. All in all it looks like termites contribute around two-thirds of the nitrogen to a healthy Paepalanthus bromelioides and predators in the rosette another quarter. This kind of assisted digestion shows how fully carnivorous plants like pitcher plants could have developed a taste for animals. It looks like some unfortunate spiders could effectively be eaten by their own toilets. Subscription paper, with free access after January 2014. 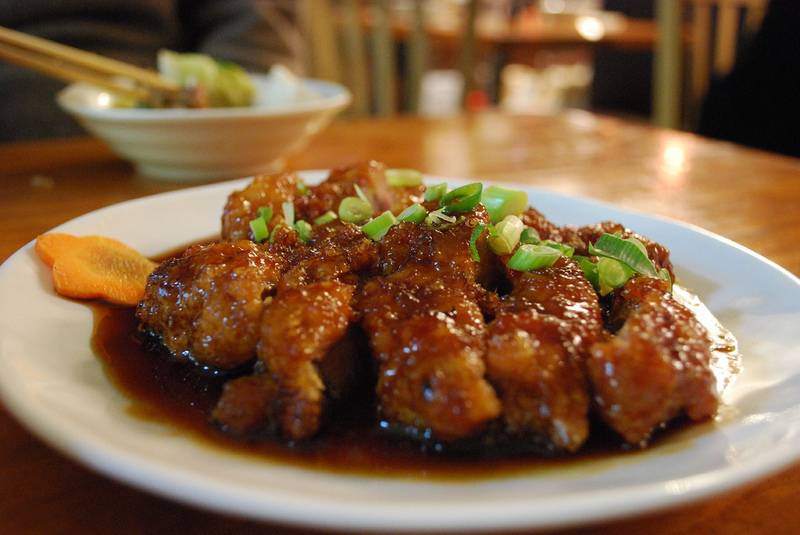 Photo: Sticky Pork Steak with Soy and Ginger Sauce by avlxyz / Flickr. This image licensed under a Creative Commons by-sa licence. Photo: Paepalanthus bromelioides © Nishi et al. Well, not unless you are defining “bromeliad” rather loosely. 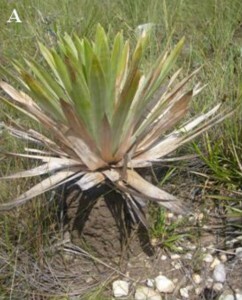 Paepalanthus bromelioides is in the Eriocaulaceae family, not Bromeliaceae family.